Perhaps you're unfamiliar with asbestos. 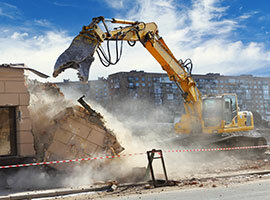 It's a hazardous material that you certainly want to avoid be exposed to, but it's found in the fibres of building materials in older structures. Keep in mind that the safe removal of asbestos in Richmond is a job that can only be trusted to a reputable home restoration service provider. Many decades ago, asbestos was identified as having effective fire-retardant properties, and manufacturers integrated it into building materials for years. Nearly 40 years ago, the very real threat these fibres posed to humans was made clear, and naturally the practice ceased immediately. Buildings built before this era may still contain this hazardous material. This is true all across the Greater Vancouver area, and home and property owners can trust Urban Environmental for Richmond asbestos abatement. They've proven time and time again they get the job done right in every regard, and they also see to it the material is disposed of responsibly. Mold can be an aggressive threat that you continue to be unaware of, until symptoms of exposure to it can no longer be ignored. All it needs is few airborne spores and it takes off from there. Urban Environmental knows the safe removal of mold in Richmond better than anyone, and they are ready to tackle any job without delay. Mold results from prolonged dampness in a cool shaded spot with plenty of oxygen. 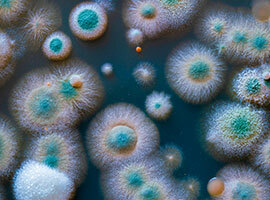 No one knows safe removal of mold in Burnaby better than Urban Environmental. They've got the expertise, experience, and knowledge of best practices to ensure the mold infestation is removed quickly and efficiently. And yes, they've seen and conquered some of the biggest ones around. Count on the problem being eliminated completely too. No step is overlooked and they also take specific measures to minimize the chance that the infestation has any chance to re-establish itself. You may also be appraised of specific characteristics of your home that may need continuing attention in the future. Whether its just a suspicion, or you're sure you've got a problem, Call Urban Environmental and receive expert Richmond mold remediation. There's no clean-up or remediation job these guys can't take on and meet your expectations. They've established a reputation for excellence with nearly any type of Richmond property restoration project, including vermiculite removal, insulation installation or removal, grow-op testing, crime scene clean-up, and bio-hazard cleanup. Make the call and leave it to the pros!